Click the button below to add the Extreme Dry Hair Conditioner to your wish list. It does not matter how your hair became dry, damaged, unmanageable or breaking. You want a conditioner to work. It should be that simple, right? Unfortunately, most conditioners coat your hair with silicones or other petroleum type ingredients. These can temporarily improve the feel and look of your hair but without adding lasting value to improve its overall condition. Dry hair gets its texture and dullness from raised cuticles on the hair shaft, which makes hair more porous causing moisture to escape. As moisture decreases, hair becomes drier more brittle, frizzy and subject to breakage. Unlike most others, our conditioner penetrates each hair strand to protect and moisturize from the inside while closing cuticles on the outside for hair that is left healthy, shinier and silky smooth. Immediately this conditioner begins to restore your hairs shine, softness, and manageability. Even the driest or damaged hair quickly regains its strength, suppleness, and radiance. Formulated to repair from the inside out with Avocado, Buriti, Macadamia and more, penetrate to seal moisture in and smooth, leaving a more vibrant shine and condition. Hair becomes healthier and more beautiful looking than ever! This dry hair conditioner is fantastic! So much better than anything else I have used. I received multiple compliments on how good my hair looks! My hair is coarse, so it’s hard to find something that tames it and doesn't leave build up. But after using this I can't stop touching my hair. It leaves it soft and shiny without build up. I highly recommend this product. It is expensive but worth the money! I love it and can really tell the difference. Nature’s best ingredients provide nutrients with vitamins that feed and hydrate your dry hair. A natural wonder, Murumuru contributes vitamin-rich nutrients that replenish lost softness and flexibility to help reduce breakage and minimize frizz. Argan uniquely nourishes to strengthen and revive damaged, treated hair, preventing any lost hydration. Unbelievable my hair is healthy again! I have been on a search for a conditioner to save my dry hair. My hair had become dry with breakage. This is so moisturizing without being oily or heavy. Does not weigh hair down. It provides lots of shine! I can comb through my damp hair now and no tangles!! I will use this forever. AMAZING. Nothing better than this dry hair conditioner! I'm really picky with my hair products and this, did I say… is AMAZING. Leaves your hair so soft and I even put a little bit in my hair when it's dry to maintain softness. When I use this, I don't even need all of my other styling products. I love how shiny and healthy this makes my hair look and feel! I can’t say enough about this conditioner. Thank you Just Nutritive! Helps seal in color with our anti-fade, color safe formula. Keeps hair color longer with our chloride free and sulfate free conditioner. Gentle enough for daily use. Keratin straightening treatments & maintenance, perms, colors, and other hair treatments are maintained and protected with this conditioner. This Extreme Dry Conditioner is formulated to repair hair from the inside out with Buriti Fruit and Macadamia Nut Oils which penetrate the surface of the hair and seal moisture into rough, coarse hair, making it smooth and vibrant. An Amazonian wonder, Murumuru Butter contributes vitamin-rich nutrients that replenish lost softness and flexibility while taming frizz and maintaining color treated hair. Murumuru butter is a highly nourishing emollient and moisturizer that helps hair recover its nutritive elasticity while adding smoothness. Argan Oil is easily absorbed by the cuticles of hair, nourishing dry hair and making hair shine with health and radiance. Invigorating mild aromas of Orange Peel, Chamomile Essential Oil and more make this conditioner a treat to enjoy. Aloe Vera treats and heals dry, damaged hair to hydrate, repair and rejuvenate hair and scalp. Avocado, Olive, and Coconut Oils contain fatty acids and vitamins to nourish hair that is damaged, making it soft. Promotes hair and scalp health while preventing frayed split ends. 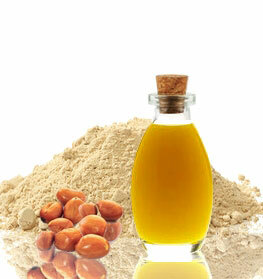 Macadamia Nut oil is easily absorbed, ideal for hair that needs extra nourishment. Helps soften strands, making them smooth and glossy. Apply an adequate amount of conditioner for extremely dry hair from the mid-shaft to ends first, like you're making a ponytail on wet, shampooed hair. Work anything that's left through the roots and crown. Leave in for 2-3 minutes for the best saturation. Conditioning may not be required each day. • This conditioner can be used on all hair types. It can also be used as a co-wash as well. • This conditioner is made with pure ingredients. With finer hair types, skip your roots and focus on applying the conditioner from mid-shaft to ends. • We suggest that you concentrate this product on your ends since they are the oldest part of the hair and can get the most damaged. • You can add your favorite oils to this conditioner and cover your hair with a plastic shower cap to make it a deep conditioner. 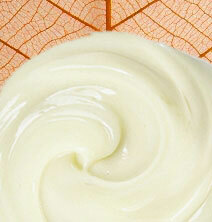 • Another product that is perfect for moisturizing dry hair is our Leave-In Conditioner. Aloe Barbadensis (Aloe Vera Hydrosol), Argania Spinosa (Argan) Oil, Astrocaryum Murumuru (Murumuru Butter), Mauritia Flexuosa (Buriti Fruit) Oil, Mangifera Indica (Mango Butter), Olea Europaea (Olive) Oil, Camellia Oleifera (Camellia Seed) Oil, Persea Americana (Avocado) Oil, Cocos Nucifera (Coconut) Oil, Macadamia Integrifolia (Macadamia Nut) Oil, Daucus Carota (Carrot Root) Oil, Citrus Sinensis (Orange) Peel Oil, Matricaria Chamomilla (Chamomile) Oil, Eucalyptus Globulus (Eucalyptus) Oil, Pelargonium Graveolens (Geranium) Oil, Myrica Pubescens Fruit Wax (Laurel Wax), Behentrimonium Methosulfate, Cetyl Alcohol, Hydrolyzed Rice Protein, Salvia Sclare (Clary Sage) Oil, Citrus Paradisi (Grapefruit) Oil, Lavandula Angustifolia (Lavender) Oil, Cymbopogon Flexuosus (Lemongrass) Oil, Glycerin, Caprylyl Glycol, Citric Acid, Guar hydroxypropyltrimonium, Panthenol (Vitamin B5). LOVE this extreme dry hair conditioner!!! This conditioner has left my hair full of moisture which was badly needed from the damaging styling My hair has improved and become more manageable since I started using it. Its very thick and rich too you don’t need a lot. I have extremely long hair that can dry out. I only use a small amount about a quarter of a handful and I can brush my hair out in the shower with my hands. It doesn’t leave my hair weighed down. Just love it! This extreme dry hair conditioner makes my hair feel so soft and look shiny. It makes my hair easy to comb after showering. This nutritive conditioner is thick and not watered down like alot of conditioners. I love it and it's worth every penny! I tried this conditioner for my extremely dry hair and wow! It felt so amazing! My hair was soft and untangled, and smelled great! I love this nutritive conditioner and would suggest it to anyone that wants their hair to be well moisturized restored. I have extremely thick dry hair, it can break off easily. When I use this nutritive conditioner it manages every problem that my hair has. I have tried countless products, and this is the only one that has worked for me!! I recommend EVERYONE to use this. Leaves my hair soft and silky! What a miracle! This is the only conditioner that has effectively turned my extremely dried, brittle, straw like hair into soft, healthy- feeling, hair that moves and doesn't break. It quenches my thirsty hair without leaving it greasy. Highly recommend. My hair has been dry from blow drying and curling it and this nutritive conditioner stuff blew my mind. It doesn’t weigh it down and it makes it really shiney. This conditioner brings hair back to what it was before all the styling damage. My hair is super dry, thick wavy hair and this conditioner for extreme dry hair does a great job at keeping my hair soft and silky. It really helps to hydrate my thirsty hair. Sometimes I follow with the polish for an extra shiney look. Love this nutritive conditioner my hair and scalp feel so much better. My husband used this product in the shower, he loves it. The best natural conditioner I have found! This is honestly the conditioner I have searching for. It does it’s job 100%! It feels so good in my hair and moisturizes with a very light nice smell. The only down side I would say is if your hair needs a lot of slip for knots this doesn’t have the most slip but it’s enough 90% of the time. This stuff works better than anything I have ever used.. The most wonderful product that I tried,100%recommended,I feel my hair very shine,and hydrate!! I left a similar review for the shampoo! I am sooooo impressed! Love how soft and smooth my hair is after using these products. I am truly amazed! I can't say enough about this conditioner it truly is amazing! I have tried a lot of conditioner's that claimed they would make my hair feel healthy and soft but none stood up to their promises. I have thick curly hair and dye my hair on a regular basis so my hair tends to be very dry all the time. After the second use of this conditioner my hair was so soft and manageable I can't imagine using anything else! I swim almost daily in a salt water pool. I have long fine grey hair. I have used your products for years and love them, but had never needed conditioner which weighed down my hair. After swimming for a few weeks, the salt water was drying my hair fast. I put a small amount of conditioner on my braided hair before I put on my swim cap. My hair has adapted and is now not dry or breaking. Thank you JN. I have over bleached hair so it’s damaged and crunchy from the ends with a lotta split ends and on first use my hair was sooooo soft and no more crunchyness I will never go back to anything else. The ends of my hair are always dry,since I started using this conditioner my hair looks soft and bouncy, no more dryness look.totally love this product.